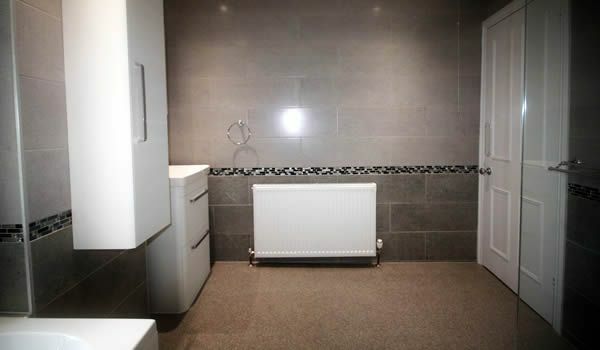 JG Bathrooms offer professional bathroom design and fitting in Sheffield at affordable prices. Bespoke bathroom fitters in Sheffield Fast & affordable bathroom fitting in the Sheffield area. Save £££'s on Sheffield high street bathroom showroom prices and get better bathrooms for less. 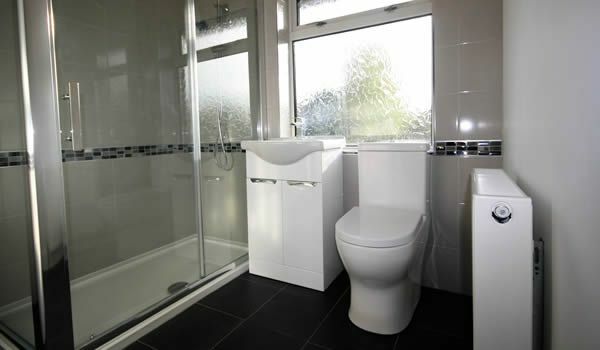 JG Bathrooms offer professional & affordable bathroom design in Sheffield. Our aim is to supply & fit quality bathrooms, designed to your exact requirements, at a price that's within your budget. 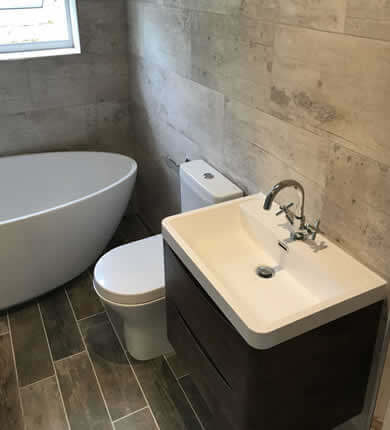 Based in Sheffield, we can help whether it's a traditional design or the latest designer bathroom with granite tiles and a wet room. We can supply & fit your dream bathroom at a price that you can afford. Your ideas are our main focus & we'll provide practical advice to help you make the right choice for your new bathroom. 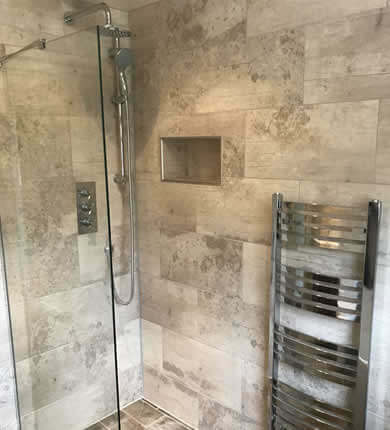 We've been in the bathroom business in Sheffield for many years so we place great importance on quality and value for money. 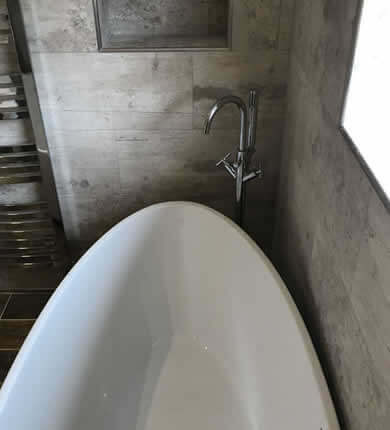 Our bathroom prices are low as we source our bathrooms direct from the manufacturer. We don't have an expensive high street showroom to pay for and don't have commissioned sales people. This means that we can offer an extensive range of quality contemporary and traditional bathroom suites at truly affordable prices. 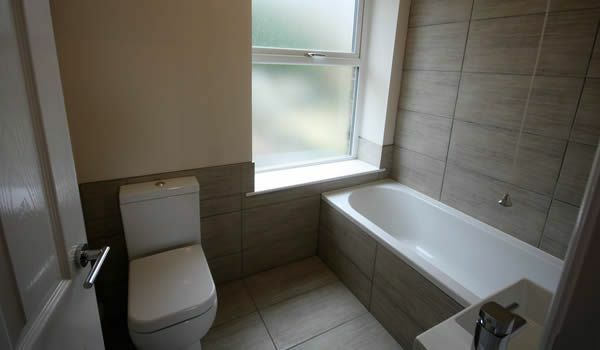 Why Choose JG Bathrooms For Your New Bathroom in Sheffield? Designing a new bathroom is a real creative challenge. 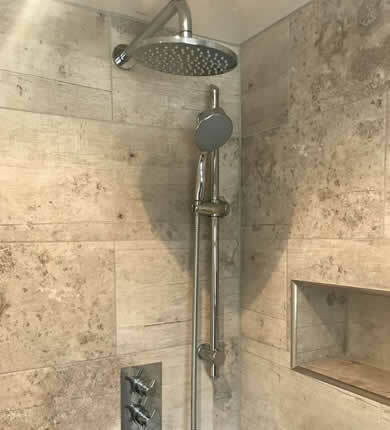 Since there is a lot to think about right from the start, the bathroom specialists at JG Bathrooms will assist you with the basics, practical ideas and suggestions on the myriad of fixtures and fittings available. Let us inspire you with a bathroom that bears your personal signature and that you can enjoy for many years to come. Our free bathroom design survey will take no more than an hour and we won't put pressure on you to sign up there and then. 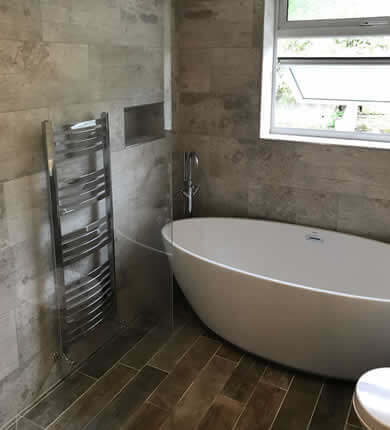 From the initial design and supply to the bathroom fitting, electrical installations, plastering, plumbing, flooring and tiling we will always on hand to ensure your complete satisfaction. 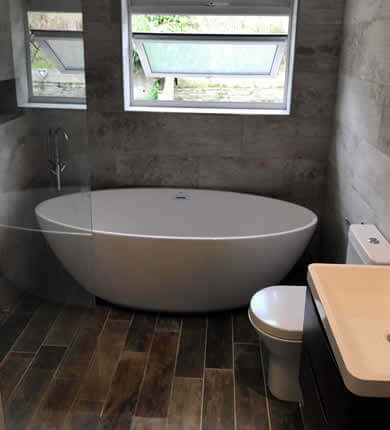 Our bespoke bathroom designs & fitting service covers the Sheffield area including Broomhall, Ecclesall, Greenhill, Meersbrook, Hillsborough, Highfield, Norton Lees, Nether Edge, Crookes, Fulwood, Walkley, Heeley, Fox House, Beauchief, Worrall, Grenoside, Oughtibridge, Chapeltown, Ecclesfield, Woodhouse, High Green and Gleadless.